It’s a Cusco Tour to be savored. It’s a rare opportunity to be welcomed into an ancient Incan community. It’s even rarer still, be to taught archaic traditions in weaving and cooking. But you’re in luck, as this amazing opportunity comes presented to you by the Amaru people, high up in the hills of the Sacred Valley. 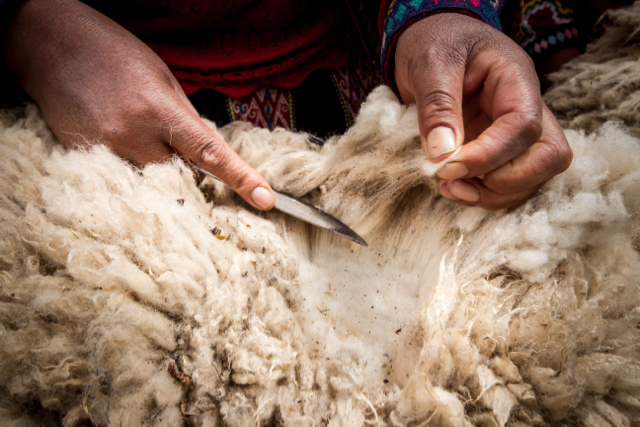 Join them for a day as you learn of their weaving and textile tradition, from the shearing of the sheep for wool to its natural dying process. And after working up a hunger, enjoy the local, organic feast prepared for you in the ancient and traditional method of pachamancha. Book online now to enjoy this amazing experience. On this Cusco tour, you will learn about the ancient traditions kept by the Amaru community and hear their beautiful Quechua language. 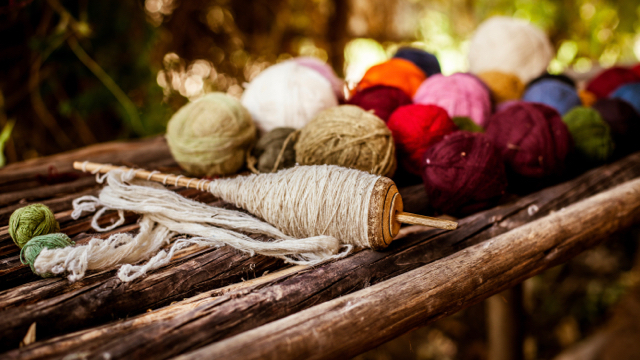 Learn ancient methods of plant medicine, dyeing wool as well as spinning by hand. You will be picked up from your accommodation shortly after breakfast, for a short yet scenic drive. Along the way you will pass through the mystical Valley of the Incas, close to the village of Písac. 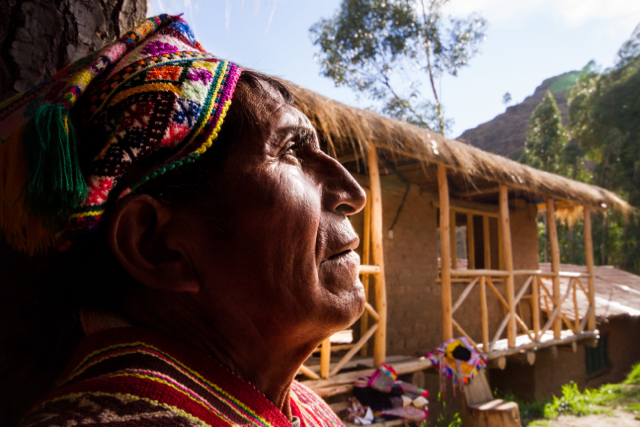 Once you arrive at the Amaru community, you can take in some fresh, mountain air. Here, you will learn all about the 10,000 year old weaving traditions and techniques of the Amaru. You will sport the colorful, local garments, as you observe the the local Andean plant life used for dying wool as well as medicine and consumption. Thereafter, you can try your hand at the spinning of yarn, whilst utilising in their ancient techniques. Soon afterwards, a ceremony will begin to prepare the pachamanca. Pachamanca is a rare, archaic method of cooking a feast, using fire, stones and all under the soil of the earth. Sip on local chicha, a fermented corn beer, and marvel at Inca ingenuity . Only organic, local produce and after a short time, an abundant banquet is ready to be devoured. Dining with the locals and enjoying their delicious gala, this unique experience should be savored. After you have eaten fair share and said your goodbyes, we will then take you back to your accommodation. On this Cusco tour, you will travel into the Sacred Valley, and also back in time to the days of the Incas. Travel up into the hills to visit the isolated Amaru community, who have maintained the language, colourful dress and traditional way of life of their imperial ancestors. 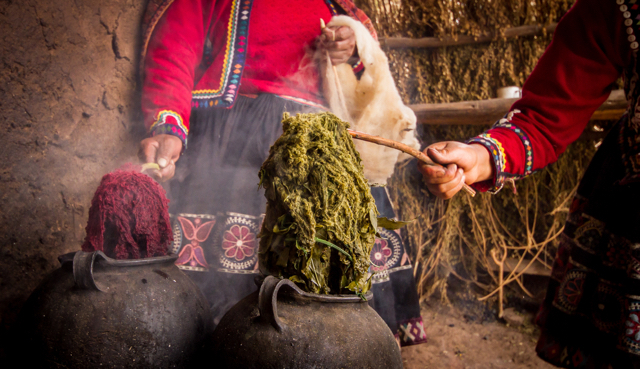 Learn about the native plants that the Amaru people use in medicine and to dye their vibrant clothes, and try your hand at traditional wool spinning techniques. 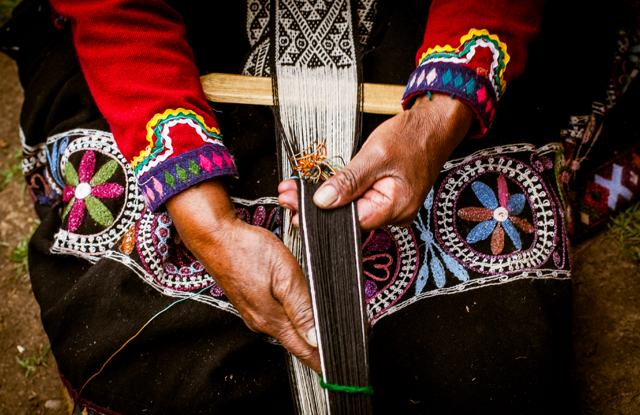 Discover the traditional weaving techniques that are used to create the Peruvian textiles that you will have seen in local markets. Afterwards, sit down for an organic lunch harvested from the nearby fields before returning to Cusco in the evening. You must pay the balance no less than 45 days before the departure date. You will be collected by a private transport after breakfast from your accommodation in Cusco. The heart of the Inca Empire will have opened a door to an ancient culture that once thronged its streets; today you will go one step further and meet those who still emulate life as it were 600 years ago. So prepare to delve deep into Incan culture with this enchanting Cusco tour. 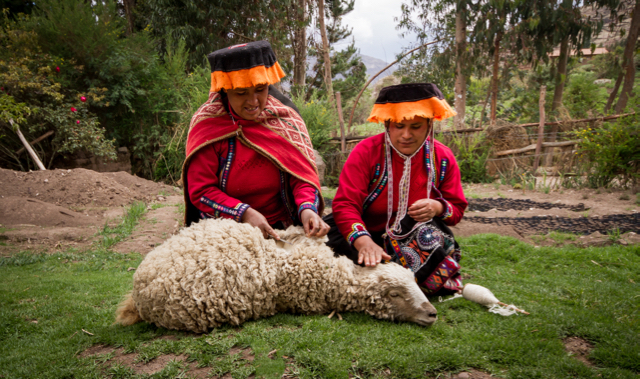 Travel toward the village of Pisac, around an hour’s drive from Cusco. It is a short and scenic route, continuing on and up, past the tourist hostels and into the hills, where the Amaru people will be waiting to welcome you. 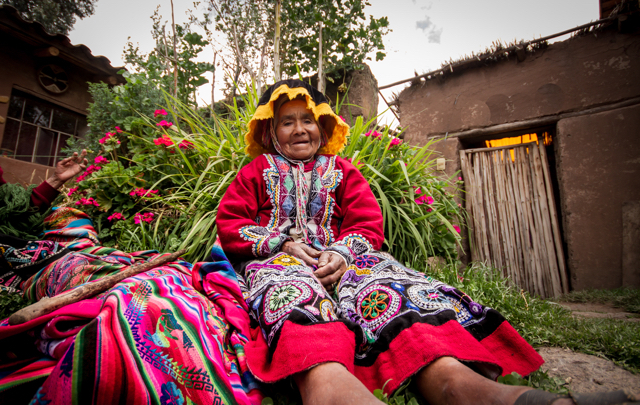 They are a community of less than 200 families who maintain Quechua as their native tongue, marvel at the beautiful clothing of the men and women, all of which has been made by their own hands. Here is an opportunity to take in your sumptuous surroundings. Gaze at the fields around you, filled with foods and plants that you’re used to seeing on Western supermarket shelves. And some you may never have heard of. 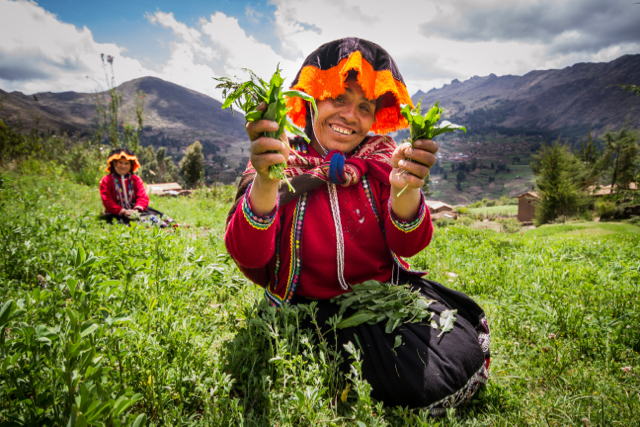 Via your experienced English speaking guide, listen and learn about which plants are medicinal, and which are boiled down to make the vibrant colours used to dye of the clothes worn by Andean people. You will learn all about the 10,000 year old weaving traditions and techniques of the Amaru. Try your hand at spinning sheep’s wool as you watch how the fibre is made and refined without the help of machines. You’ll also see the process of making textiles so popular in markets, using framework techniques and incorporating the natural element’s into the designs. 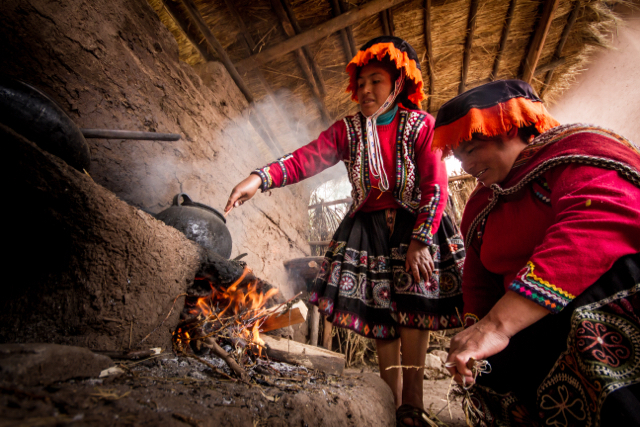 You will also sport the colorful, local garments, as you observe the majesty of the local Andean culture. After a morning of activity and learning you’ll settle down to observe the preparation of your organic lunch, served in a traditional fashion and including the foods of the land around you. Prior to the actually cooking a ceremony will begin to prepare the pachamanca. Pachamanca, meaning ‘earth-pot’, is a rare, archaic method of cooking a feast, using fire, stones and all under the soil of the earth. A real sight to behold, as the locals demonstrate their engineering and culinary skills to produce a real treat. Sip on local chicha, a fermented corn beer, and marvel at ingenuity of the Incans. Only organic, local produce and after a short time, an abundant banquet is ready to be devoured. So now all you have to do is tuck in. Dining with the locals and enjoying their delicious gala, this unique experience should be savored. After you have eaten fair share and said your goodbye and then contemplate this way of life as you’re transported back to Cusco, with a lifelong cultural exchange cemented in your heart.